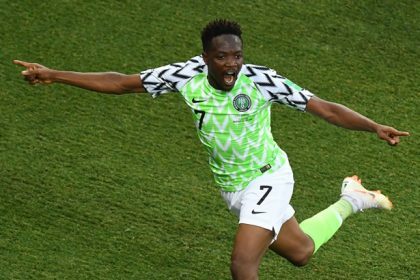 The 33-year-old’s decision came after coach Sunday Oliseh replaced him as captain with Ahmed Musa – only hours before the match in Verviers, Belgium. “I am no longer Nigeria captain or goalkeeper nor available for Nigeria duty,” he said on Instagram. “I fought a good fight for 13 years, but now I have finished my course”. The Lille stopper refused to confirm that the decision to strip him of the skipper’s armband hastened his retirement but he admitted it was a difficult time to leave. “It’s been the most difficult period of my life, losing my mother and the emotion,” he told BBC Sport. “After playing for the Super Eagles for 13 years, you never think that it would end like this but the time [to retire from international football] has come. 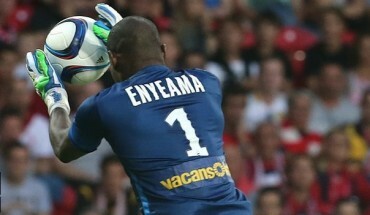 Enyeama made his debut against Kenya in May 2002 in Lagos and during his international career he helped Nigeria win the 2013 Africa Cup of Nations in South Africa, where he emerged as the tournament’s best goalkeeper. 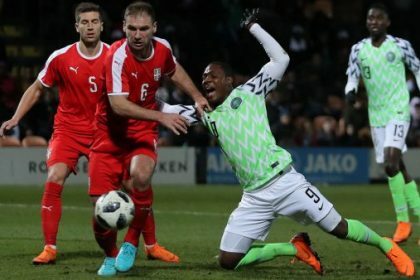 He played in five Nations Cup tournaments – in 2004, 2006, 2008, 2010 and 2013 – and was part of the Nigeria squad at the 2002, 2010 and 2014 World Cup tournaments. “I just want to say thanks to my family and friends and all the fans who have supported me all these years,” he added to BBC Sport.